Again, Venum offer the best designs for training or lifestyle apparel. The Venum Koi T-Shirt&rsquo s vibrant and original design leaves you with an original look. Its inspiration derives from the famous Koi fish. Symbolizing courage, strength, and power. The Venum Koi T-Shirt, made from 100% cotton, offers a durable and comfortable feel. 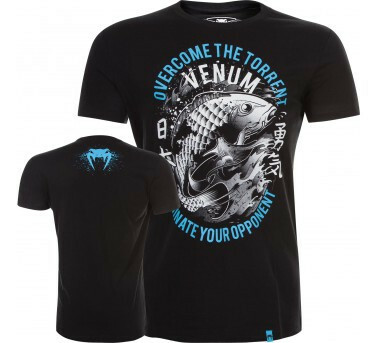 Day after day, fight after fight, dominate your opponent with the Venum Koi T-Shirt. Technical Features: 100% cotton: soft and durable. Athletic fit. Round collar. Short sleeves.